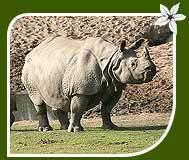 A unique concept of blending wildlife with spirituality is USP of this tour package by India Jungle Tours. 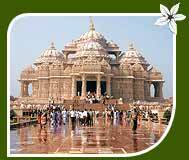 Temple and Tiger Tour will also cover sightseeing at Delhi, Jaipur, Agra and Jhansi. 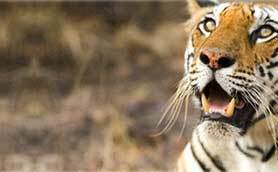 Sariska and Ranthambore, Bharatpur, Bandhavgarh and Kajiranga include major highlights of this tour package. This tour package will cover almost whole of the country. 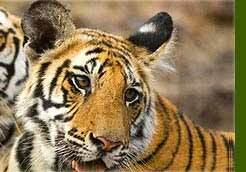 This tour will be a treat to the nature lovers as this tour covers the wildlife of whole India. Admirers of art and architecture will have a lot to explore. Pleasure travelers will find this package as a plateful of different tastes. Arrive Delhi. Our representative will meet you on arrival longe of the airport. He will transfer you to hotel and assist for check in. Overnight stay at hotel. After breakfast Delhi sightseeing tour visiting the Raj Ghat (Cremation site of Mahatma Gandhi), Red Fort, Jama Masjid, Qutub Minar & India Gate (War Memorial). Enjoy drive past President House & Parliament House. Overnight stay in the hotel. After breakfast drive to Sariska (200 kms or 4 hrs). On arrival transfer to hotel. 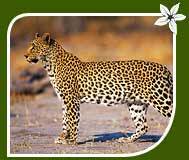 In the afternoon, you will take a tour of the jungle, where you can view numerous carnivores including Leopard, Wild Dog, Jungle Cat, Hyena, Jackal, and Tiger. Overnight stay at the hotel. Early morning visit the sanctuary again. Later drive to Jaipur (110 kms or 2 ½ hrs). En-route visiting the Amber Fort. Fort was the ancient capital of the State. Elephant ride / Jeep Safari is provided to ascend hill on top of which the fort is situated. Upon arrival to the hotel. Afternoon city tour of Jaipur visiting the Hawa Mahal - the palace of winds, the Observatory or the Jantar Mantar. Overnight stay in the hotel. After breakfast drive to Sawai Madhopur, popular for the Ranthambore Tiger Reserve (145 kms / 3 hrs). Upon arrival transfer to hotel. Afternoon Jungle excursion roaming around the forest area to observe the rich wildlife, which includes trees, aquatic plants, birds, reptiles including the Marsh Crocodile, amphibians and mammals. Overnight stay in the hotel. After breakfast spend the day at the national park observing the large herds of Sambhar, Chital, Nilgai, Gazelle, Boars, Mongoose, Indian Hare and Monitor Lizards. Overnight stay in the hotel. After breakfast drive to Bharatpur (215 kms or 5 hrs). On arrival transfer to the hotel. 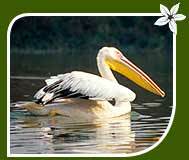 Later visit the Keoladeo Ghana National Park known for its 300 indigenous bird species. Evening, a short walk to the Jungle to observe the roosting of large bird swarms. Overnight stay in the hotel. After breakfast start your day by bird viewing at the Bharatpur sanctuary. Later drive to Agra (56 kms or 02 hrs). En-route visiting Fatehpur Sikri. Upon arrival transfer to hotel. Later city tour of Agra visiting the world famous Taj Mahal and Agra Fort. Overnight stay in the hotel. After breakfast transfer to the Railway station to board the train to Jhansi by Train # 2002 dep. 08:17 hrs and arr. 10:43 hrs. Upon arrival drive to Khajuraho (190 kms / 5 hrs) visiting Orchha temple en route. On arrival transfer to hotel. Afternoon visit 10th century Chandela temples. The Western Group of Temples includes the temples of Kandariya Mahadeo and Chuansat Yogini. Overnight stay in the hotel. After breakfast drive to Bandhavgarh National Park (185 kms or 05 hrs). Upon arrival transfer to hotel. Evening visit National Park. Overnight stay at the hotel. After breakfast morning and evening jungle excursion to explore the wildlife, flora and fauna within the national park. Overnight stay at the hotel. After breakfast drive on to Kanha National Park (250 kms or 6 hrs). On arrival transfer to the hotel. Overnight at hotel. After breakfast morning and evening jungle excursion, nature walks and Elephant rides in the National Park to observe the large herds of the rare Barasingha and Swamp deer. Overnight stay at the resort. Arrive Howrah at 05:50 hrs. Later transfer to the Airport to board the flight for Guwahati. Upon arrival drive to Kaziranga (215 kms or 04 hrs). On arrival transfer to the hotel for overnight stay. Spend the whole day at the national park where you can see some of the rare species. Here you will find the Oriental Honey Buzzard, Great Indian Rhinoceros, Black-Shouldered Kite, Black Kite, Brahminy Kite, Pallas's Fishing Eagle, White Tailed Eagle, Grey-Headed Fishing Eagle, Himalayan Griffon, etc. Overnight at hotel. After breakfast spend a day taking a tour of the area with jungle rides, nature walks and Elephant rides available within the sanctuary. Overnight at hotel. After breakfast drive back to Guwahati Airport to board the flight for Delhi by 9W 601 dep. 13:15 hrs and arr. 16:50 hrs. Upon arrival transfer to hotel. Evening is at leisure. Overnight stay in the hotel. After breakfast transfer to the International Airport to catch the flight for onward destination.